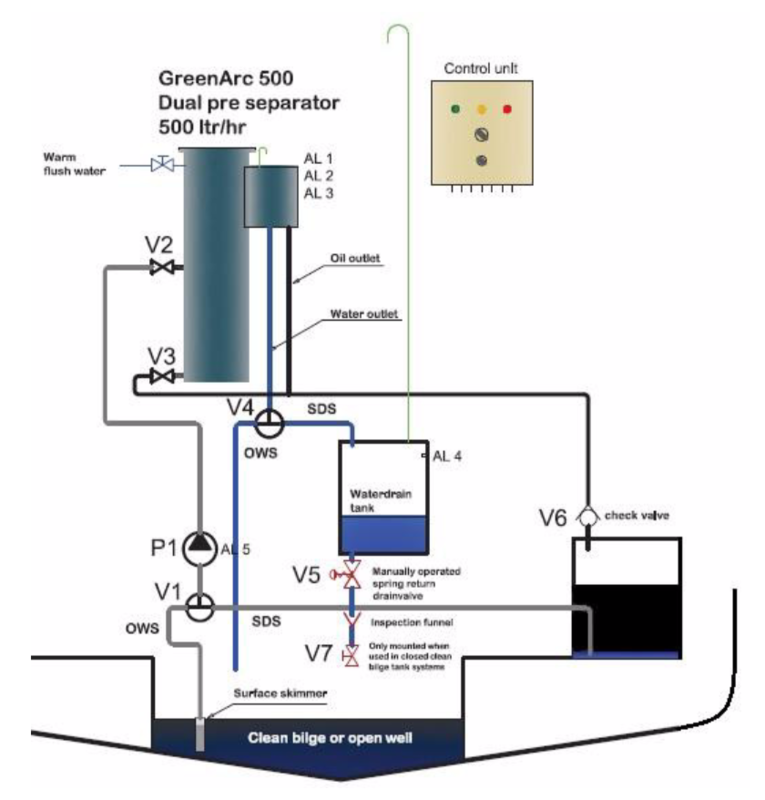 The GreenArc 500 system will not replace the 5 & 15 ppm separators required according to rules and class but will make them work better due to less oil and particles in the fluid and bilge system. This is a GAME CHANGING method to solve the OWS problems! 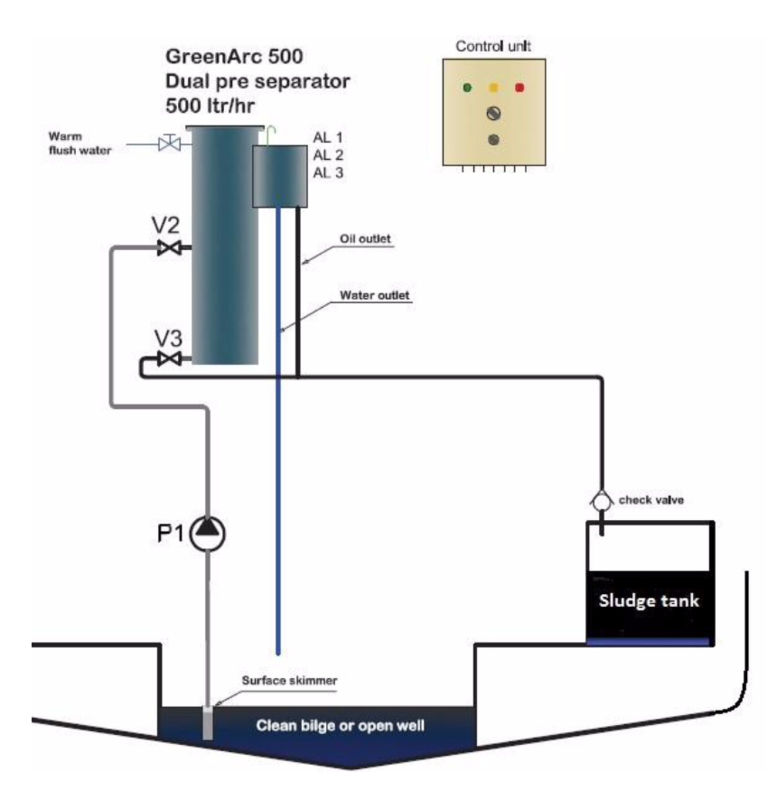 The GreenArc 500 Pre-separator system will remove typical problems regarding discharge issues of the oily bilge water. The GreenArc 500 system can remove 99 % of oil and residue. The GreenArc 500 can replace the need for huge settlings tanks capacity onboard.